All Clubs Australia Members and Families are invited to join us at Novotel Melbourne St Kilda, 16 The Esplanade, St Kilda. Please note accommodation is required to be booked directly through the Novotel on (03) 9525 5522 during business hours and state that you are part of the BMW Nationals 2019. Alternatively log on to the Novotel website at https://www.accorhotels.com/gb/hotel-1506-novotel-melbourne-st-kilda/index.shtml for specials that may be available. As it is Easter, bookings should be made as soon as possible to secure your room. Will open from approx. 2pm on the Friday - Meet the Nationals Organising Committee, grab your welcome pack and have a look at what St Kilda has to offer. Plenty of secure parking on site with trailer parking available. FRIDAY NIGHT MEET AND GREET COCKTAIL PARTY AT NOVOTEL ST KILDA. Cocktail Party: We ask that most participants arrive in time for the opening meet and greet scheduled to commence at 7pm. It’s a great opportunity for you to get to know the other attendees (many coming from Interstate). Canapes will be provided at $35.00 and drinks will be at bar prices. SATURDAY SHOW OF EXCELLENCE AND MOTORSPORT AT SANDOWN RACECOURSE. Show of Excellence: Do you love to show off your vehicle? Well we have been fortunate enough to secure the area around Sandown Racecourse to host our Show of Excellence event. Commencing at 10am the judges will walk through the criteria and start the show! Prizes will be awarded to the category winners at the Sunday night presentation dinner. Entry is only $10.00 per car so it’s well worth entering! That’s right, BMWCCV are excited to announce that Sandown Park Circuit, “The Home of Horsepower” will be all ours for the day! More details are to be released about the day, but for $275.00 you can have a ball (Please note Motorsport regulations do apply). We may be able to offer Pace Car Laps during the day. SATURDAY NIGHT DINNER AND RIDES AT LUNA PARK. Saturday night you are in for a treat. The Committee has arranged for a night out at the famous Luna park at St Kilda! Only a short walk from the Novotel, enjoy a buffet style dinner at $55.00 at Luna Park followed by reliving your childhood with an unlimited ride package at $25.00. SUNDAY TOURING EVENT THROUGH THE TREE LINED HILLS OF THE YARRA VALLEY. Touring Event: A couple of options for today. An earlier start for those wanting to travel a bit further on a spirited drive or for those that want to go at a slower pace, a later start and a shorter trip to our luncheon destination at the RACV Country Club at Heasleville. Cost for lunch will be $50. SUNDAY NIGHT PRESENTATION DINNER TO BE HELD AT THE FAMOUS MCG. Sunday night it’s time to party. The formal presentation dinner is set in the Jim Stynes room at the iconic MCG, included is a tour of the National Sports Museum, a 3 course meal and drinks at $120.00. Prizes, presentations of awards and we expect to party on well into the night. MONDAY STAYER’S BRUNCH AT THE NOVOTEL ST KILDA OR SELF-DRIVE OPTION ALONG THE GREAT OCEAN ROAD. Stayer’s Brunch. For those that are not in a hurry to get on the road we have arranged a relaxing morning at the Novotel St Kilda where we can catch up and say our final goodbyes. Brunch is at own cost. Great Ocean Road: The Great Ocean Road is an iconic road that hugs the southern coastline of Victoria! You can travel this famous piece of tarmac at your leisure as a self-drive option. We look forward to seeing you in Melbourne in 2019! Round 2 of the 2019 Traction Tyres/Yokohama Drivers' Championship is at Sandown Raceway on 5 May 2019. Supplementary regulations can be downloaded here. PLEASE NOTE THIS EVENT IS RUN BY AROCA. ENTRIES ARE LIMITED. ENTER EARLY TO AVOID DISAPPOINTMENT. BMW Drivers Club Melbourne Inc.
Any questions? Contact Graeme Bell at motorsport@bmwdcm.com.au or on 03 5979 1599. We can all wash our cars but with a little bit of effort a lot more can be done to make our cars look their best. The key is using the correct products and tools and knowing how to use them. Mothers are well known as suppliers of quality car care products and tools, including their Wax Attack Lithium battery powered random orbital polisher. If you don't know what that means, here is your chance to find out why you should! Even if you are not into detailing there will be plenty of useful things to learn. Mothers will instruct and inform on their range which includes exterior and interior care. Of special interest to many will be a hands on demonstration of plastic headlamp restoration/cleaning/chip removal. Something we'll probably all need sooner or later. Ample time will be devoted to questions and answers, the more questions the better. Plus time to chat as usual. Any questions? Contact Lawrence Glynn at secretary@bmwdcm.com.au or on 0414 563 290. For all our members who love a bit of an adrenaline fix, this event is the one for you! Exclusive track time for our club, come along and see who can take out the championship on the day. Bring the family, bring your friends, all welcome on the day. Non members are welcome too. If you are not wanting to drive, there is a cafe with a viewing area for those who just want to enjoy the fun on the day from a safe distance. Arrive on time to allow for registration and compulsory breath testing. Any questions? Contact Jo Mawson at events@bmwdcm.com.au or on 0412 661 900. 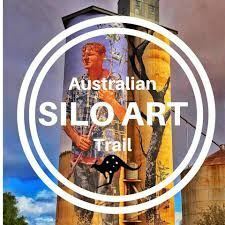 What better thing to do on a long weekend but join your fellow members on a fantastic weekend away experiencing the Australian Silo Art Trail. Stating at Essendon BMW with coffee and cake we will then begin our weekend. This is a joint drive of BMW Drivers Club Melbourne and clubMINI Victoria. The event is open to financial members of these clubs - along with family members and significant others. 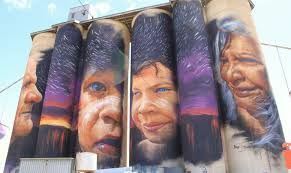 The central feature of the trip is the Silo Art Trail in North-West Victoria. We’ll leave from Essendon BMW/MINI on Saturday morning for a drive up to the Murray River at Barham. On the way we’ll stop off in some historic towns and even drive up a historic hill climb. That night’s motel is right near the Murray River in Barham, with a little time to explore along the riverfront and nearby lakes. On Sunday we can visit a Catalina flying boat museum in a most unlikely location, stop off at a salt lake, and then head along the Silo Art Trail. We finish the day at a motel in Horsham with the option, if time permits, of a quick jaunt along the highway to the Pink Lake near Dimboola. Monday takes us through the Grampians, with a mix of great driving roads and equally great scenery. After lunch we’ll cruise back home. Rooms have been reserved at the motels in Barham and Horsham, but you will need to make your own bookings. Details of the motels at which rooms have been reserved, so that you can make your bookings when you have registered for the trip. Reserved rooms are held under BMW Club Mini, so quote this when you book. The rooms are first‑in first-served and may not be reserved right until the last minute, so book early. Plenty of water for the daytime. We’ll be far away from major towns, especially on the Sunday. Food for lunch on Sunday - We’re not near sizeable towns until after lunchtime, so places may not be open. The Barham Bakery (8 Melool St) is open from 6 am Sunday. The IGA in Barham is open until 7 pm Saturday and from 8 am Sunday. Our motel in Barham can arrange a snack pack for morning or afternoon tea. (snack packs will be available to order for morning tea on Sunday at $15) see details on registration. Snacks for travelling and morning and afternoon tea. On the Sunday and Monday, places to buy snacks are few and far between. Rain gear, just in case. Average June temperatures in Barham: max 15°, min 5° and in Horsham: max 14°, min 3°. Lunches, snacks and other costs are at individual cost at the time. Round 4 of the 2019 Traction Tyres/Yokohama Drivers' Championship is at Broadford Raceway on 16 June 2019. Entries and supplementary regulations will be available shortly. Please note that registering for this save the date does not register you for the event, you must register for the event once the event becomes available. Register now to be the first to know! Ever wanted to find out what it's like to get on track in a relaxed atmosphere without being surrounded by the seriousness of competition? Join us for our Sandown Come & Try day to see what the fuss is all about! Registrations and further details will be available shortly. It's that time of year again to dust off the silly Christmas outfits! Join us for some Christmas fun and dress up in all your Christmas finery. We will be driving along some amazing roads before stopping for Lunch at the Noojee Tool Shed for a two course Christmas dinner at $35 per head (Children's pricing by arrangement). Prizes will be given to the best outfits. Members and non members are all welcome. Round 5 of the 2019 Traction Tyres/Yokohama Drivers' Championship is at Winton Raceway on 20 July 2019. This will be a combined Championship Round and Driver Training Day, together with BMWDCNSW. Qualified Instructors will be in attendance on the day for those wishing to do the Driver Training component of the event. 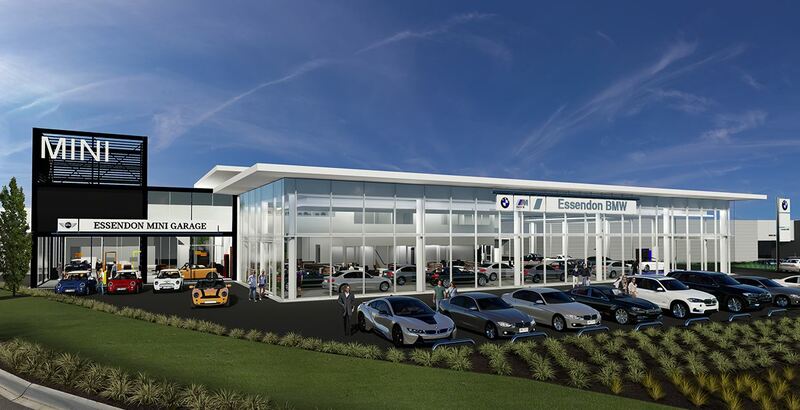 Join us at Waverley BMW for our August Members meeting. We'll be taken for a comprehensive walk through their paint shop with a demonstration on how they do their 30 minute dent repair and wheels repairs. With the only dent repair shop in any Australian BMW dealership, you'll receive a much more relaxed experience in getting your dents fixed at Waverley BMW. Join us in August to find out more about the services, see the paint shop for yourself and ask plenty of questions. The German Auto Day brings together the best German cars of Melbourne in one spot with some of the quirky, and now defunct brands being included. It is not a concours, or even a show and shine, so any clean car is very welcome. Anything 1990 or older - the more the merrier! There is a prize for people's choice in each marque so you may even score a trophy! It is a great setting, raising funds for a good cause, and with lots of interesting cars to look at and fascinating company. There will be food for sale on the day. ENTRANTS PAY $10 AT THE GATE, SPECTATORS MAKE A GOLD COIN "DONATION", ALL TO AID DEAF CHILDREN AUSTRALIA. 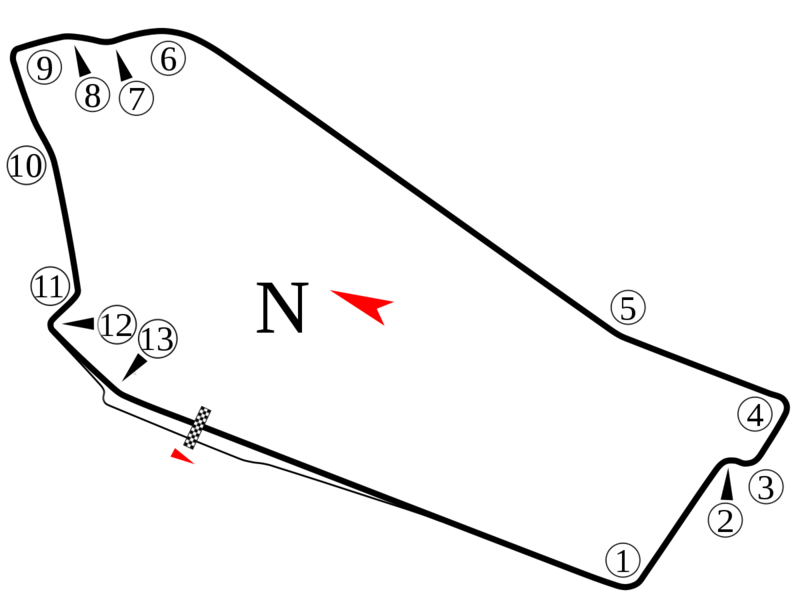 Round 6 of the 2019 Traction Tyres/Yokohama Drivers' Championship is at Sandown on 8 September 2019. Round 7 of the 2019 Traction Tyres/Yokohama Drivers' Championship is at Phillip Island on 8 December 2019. © 2018 BMW Drivers Club Melbourne Inc. All Rights Reserved.